I'm continually creating Listening Lessons based on a variety of real-life podcasts, videos and radio programs. Each Listening Lesson is based on programs that native English speakers, myself included, listen to on a regular basis. In my opinion, listening to real life programs is important for students learning English because the listening exercises for English students can sometimes be unrealistic and cheesy with unnatural language. But, of course, it's important to listen to different kinds of programs, both real life programs and listening exercises for English language students. In addition to watching movies and TV shows, it's important to listen to podcasts, radio programs and lectures because you'll have to focus on the words to understand the meaning, instead of catching clues by watching the body language. 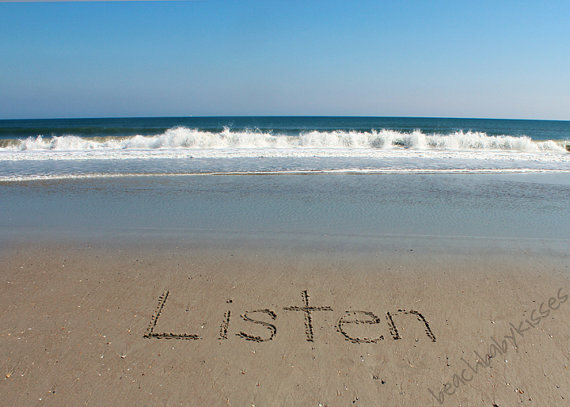 Start here: 6 Steps of the Real Life Listening Lessons. Then move onto the regularly updated series, Real Life Listening Lessons. What type of programs do you like listening to in English? Do you have a recommendation for a Real Life Listening Guide? Share it in the comments below. Tips and lessons to help you learn, use, and speak English with confidence.